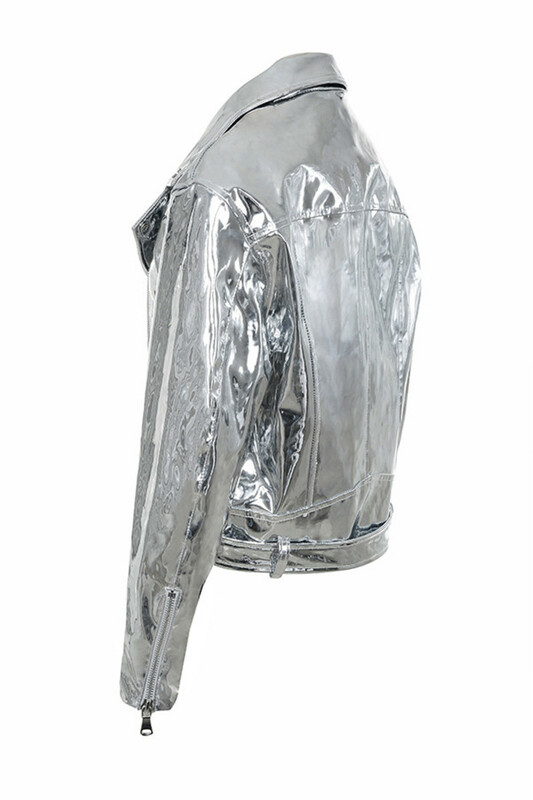 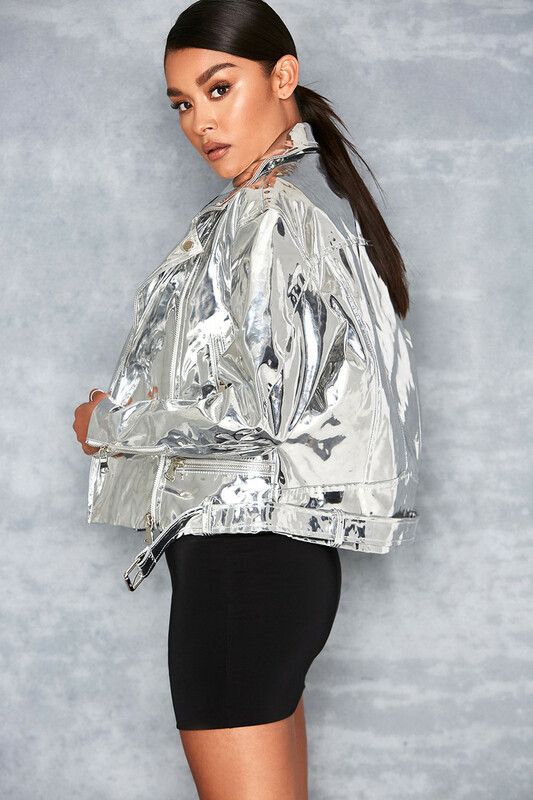 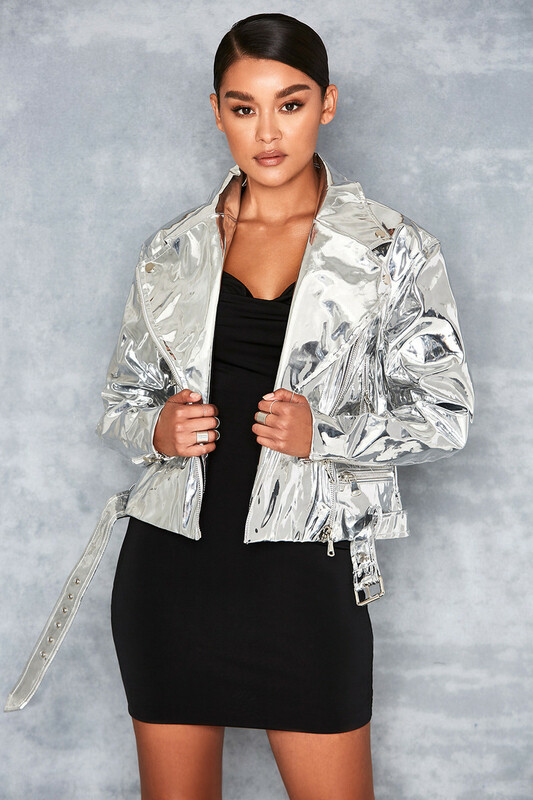 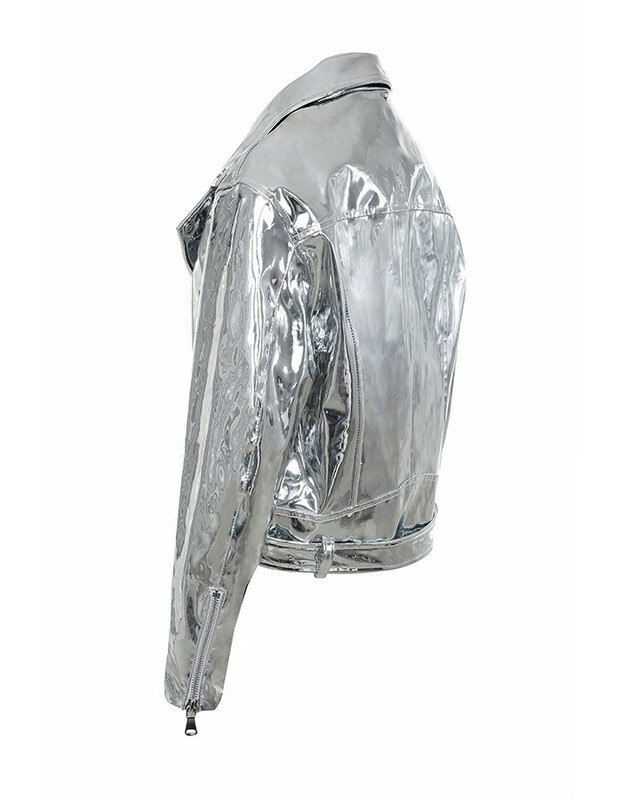 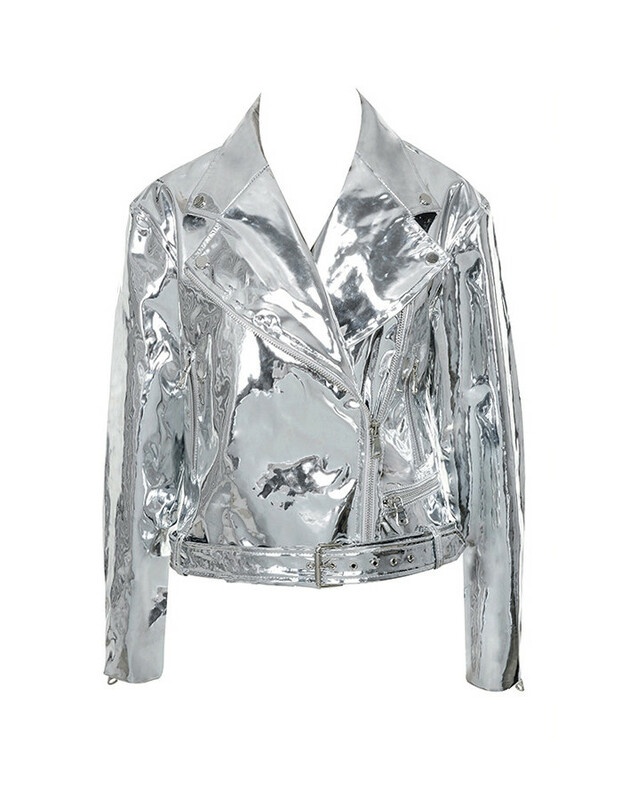 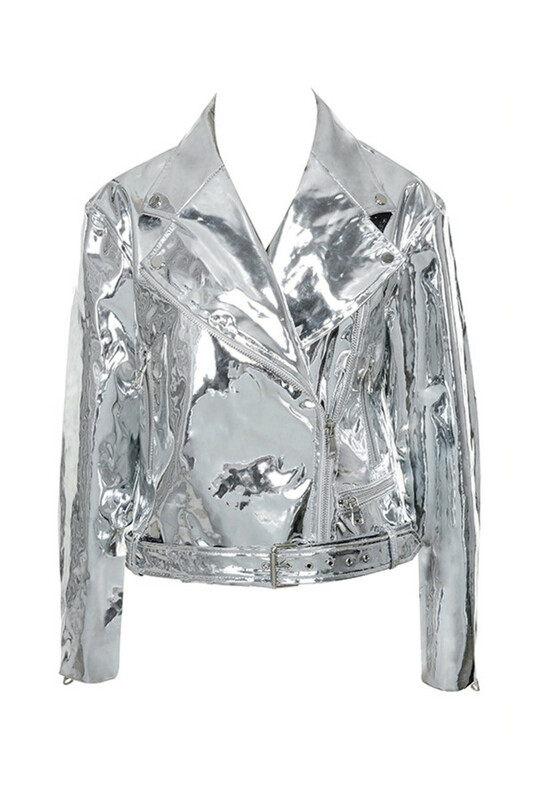 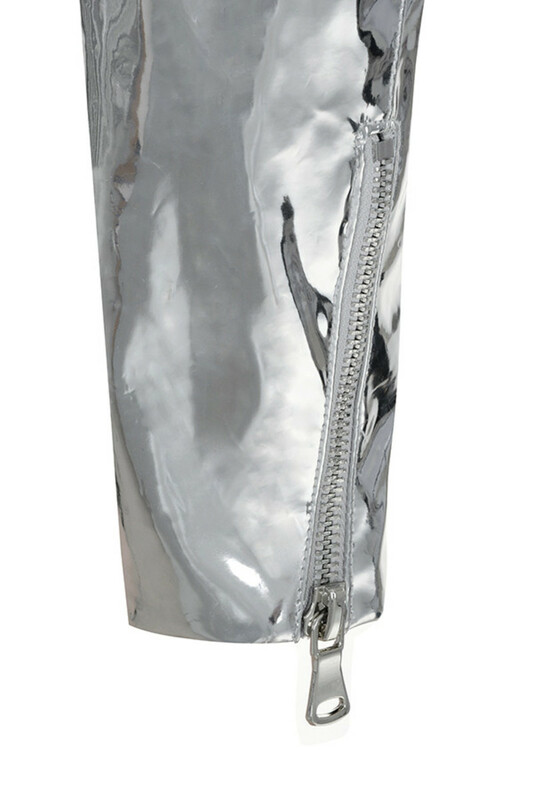 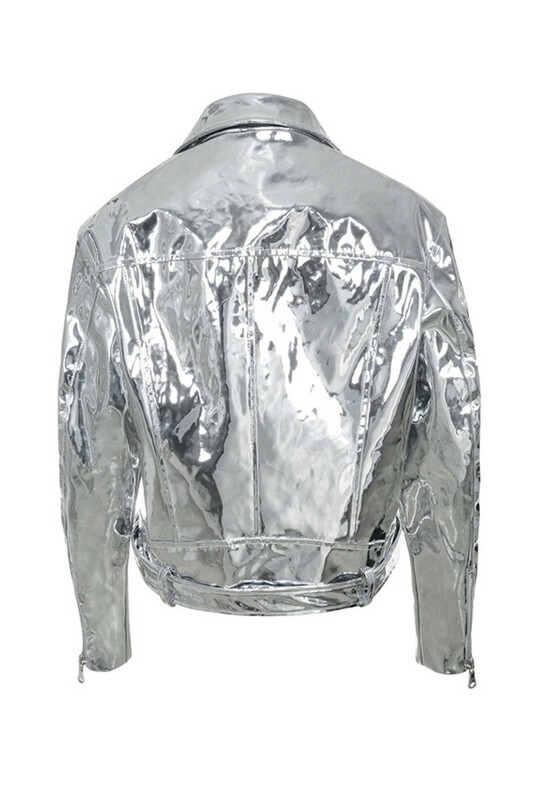 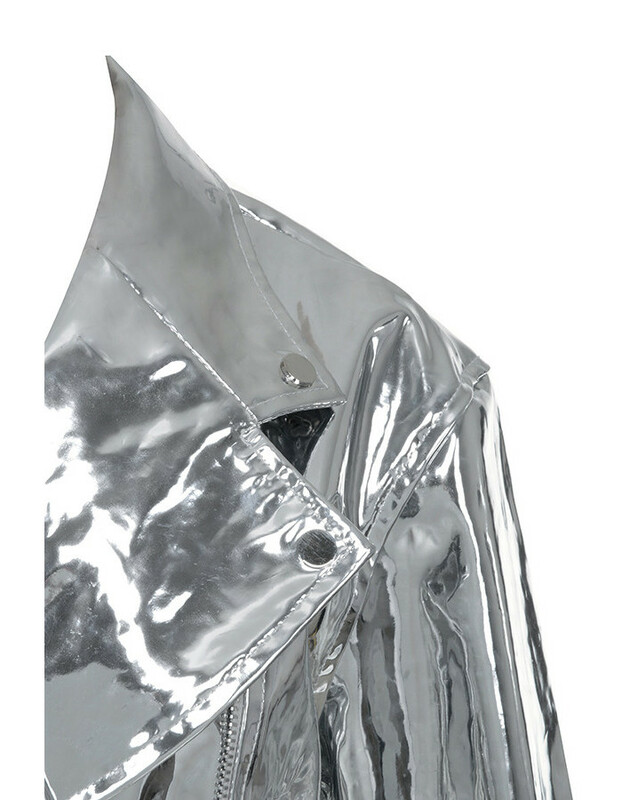 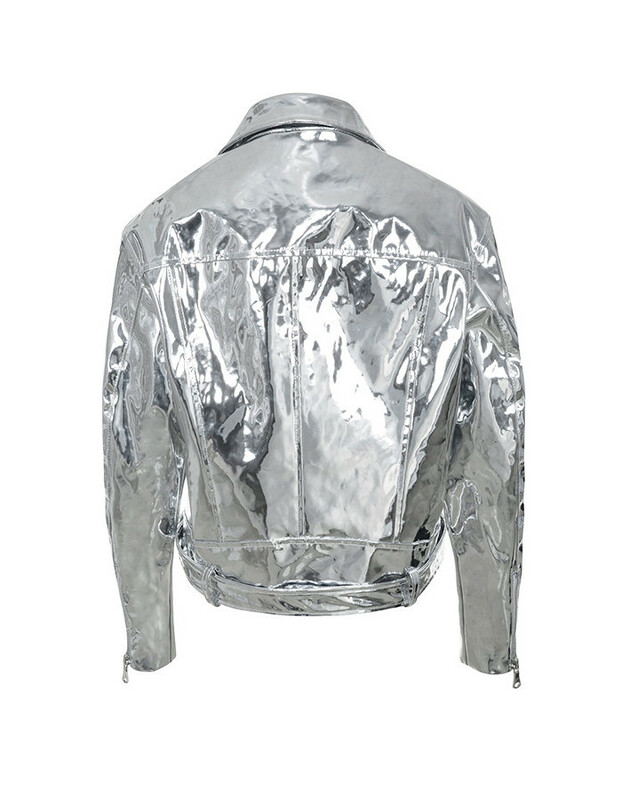 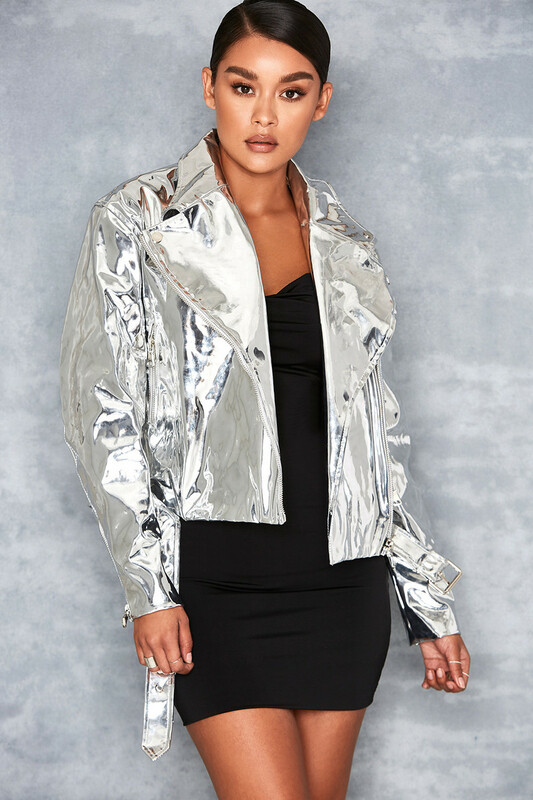 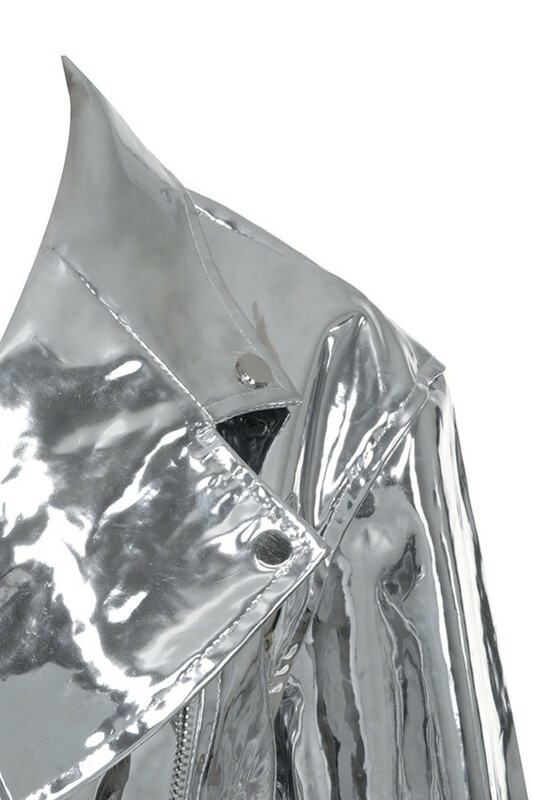 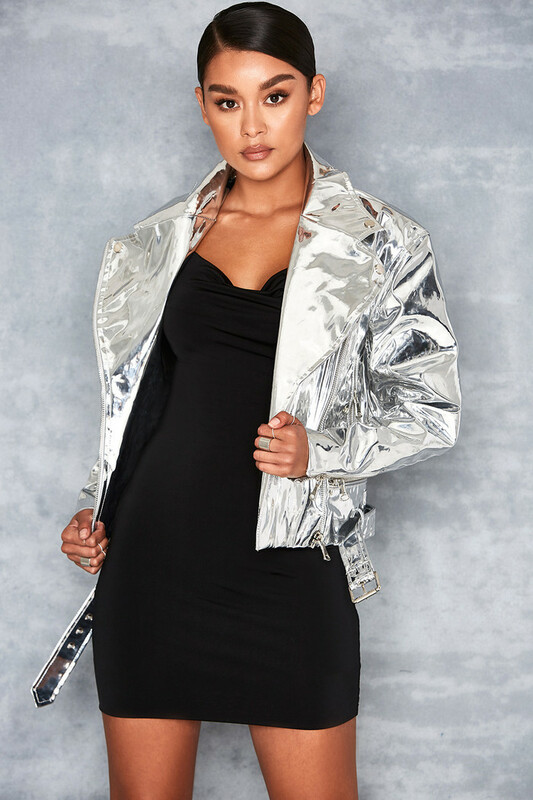 This liquid silver creation is all the jacket you need. 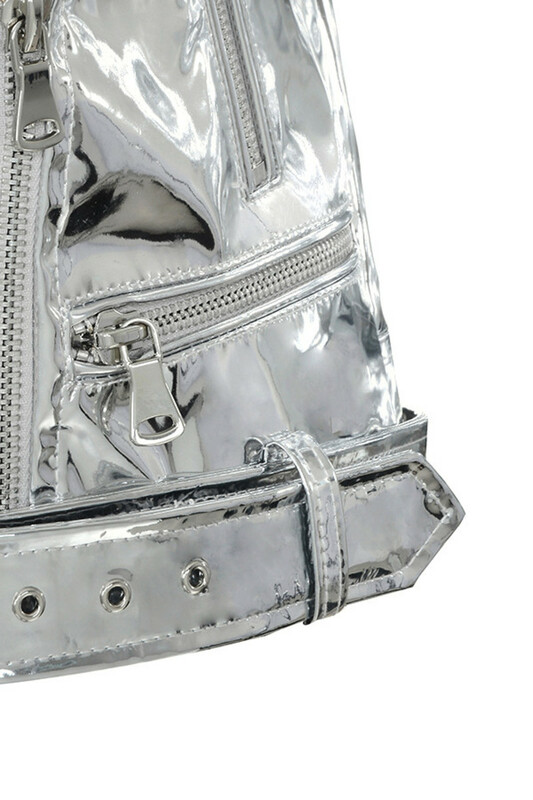 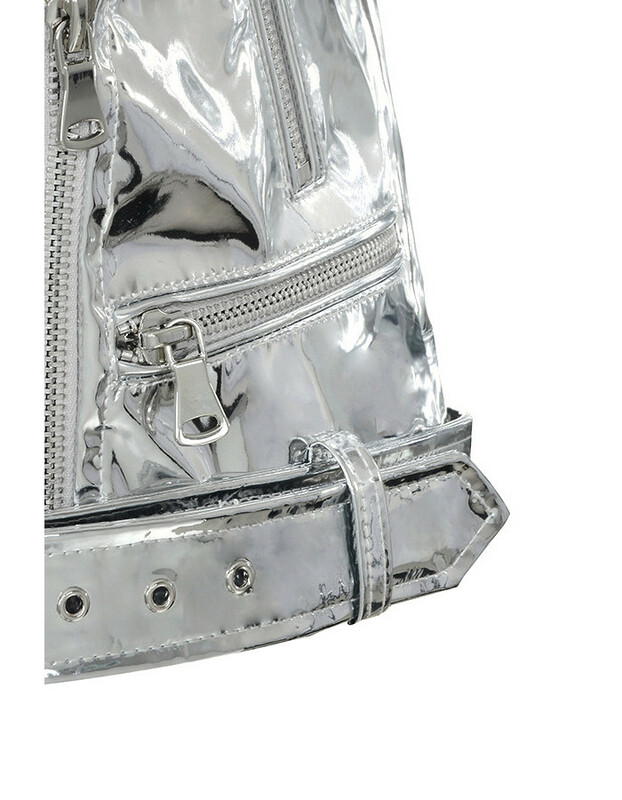 Crafted from a mirror finish silver vegan leather, we've kept the styling classic biker. 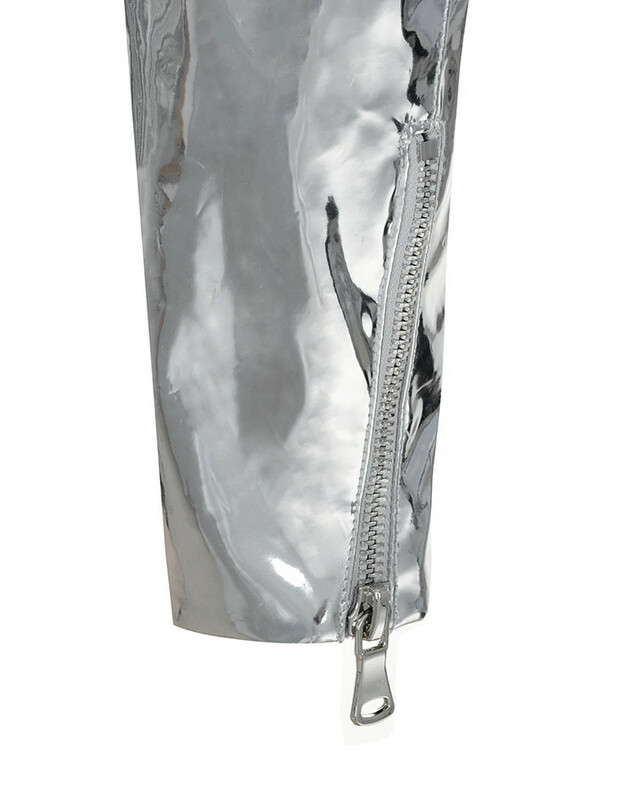 Wear yours over a fluid silky dress to showcase the luxe fabrics.